seventeen centuries without a change in the weather. Posted on April 6, 2019 Author Paul O'MahonyCategories poetry2 Comments on Which is more unpleasant? What is it like to be a man? Is it the stubble that grows on your face? the wombless life you live. What is it like to resemble a man? and the wombless way you walk. What is it like to feel a man? 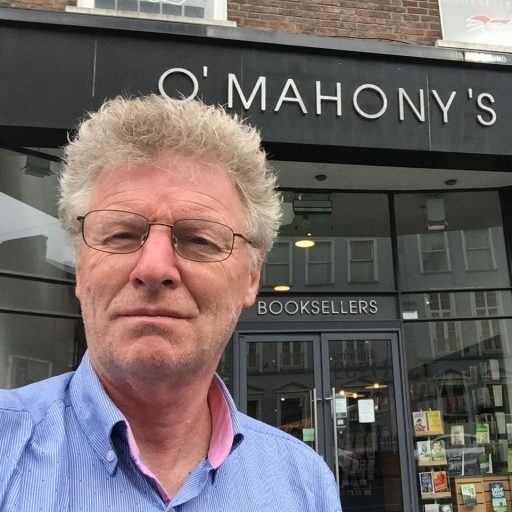 Posted on April 3, 2019 Author Paul O'MahonyCategories poetryLeave a comment on What is it like to be a man? Where would we be without mothers? Posted on March 31, 2019 April 1, 2019 Author Paul O'MahonyCategories poetryLeave a comment on Where would we be without mothers? The rain was downpouring on Monday evening. Cork city centre was dark at 7pm because black clouds hung low. No one was outside on Oliver Plunkett Street. I certainly wasn’t. I was warm and snug in the Hi-B, halfway into a pint of Guinness. Myself in the corner next to a couple who were leaning into each other. I can’t resist eavesdropping. A habit from childhood. Thinking about it “could anyone resist listening in to that? She said nothing at first, as if she’d misheard. I saw him cross his ankles & tuck his legs under the seat. He pulled back from her eyes smiling. How do you mean … precious? They sparkle, so white. I’ve never seen teeth like them. In all my fifty plus years paying wrapt attention to the intimacy & frivolity of others, I’d never seen anyone woo anyone by complementing their teeth. It reminded me of the teeth poems I’d written when I was working for the National Trust. Sounds like you fancy my teeth? That’s not all he fancies, I said to myself. her fingertips touched mine on Baggot Street bridge that night in May. We walked with electricity between us. I talked to myself about the way she spoke through lips I longed to lick. You could say I was attracted to the ambiguity of her personality, the style with which she tickled my boxers. I grew familiar with her nose. The fingers lost their tips. When the Sun came up, the electric light dimmed. I got used to talking to her. The summer sun sank below the mountains, below the plain, lost from sight. The Fall moon peeped from behind clouds, drawing the tide, going and coming. and we all lived lively ever after.